BLACK-TAILED GODWITS!! Has a Euro fallout begun?!?! Email chatter between Newfoundland birders the past few days has been about one thing — the winds. They have been lining up nicely across the North Atlantic for several days now – just the way we want to see them in late April. This is THE time for European vagrants to show up on our shores, and a low pressure system churning over the ocean between us and Iceland is a recipe for birds migrating there to get flung in our direction. One of two Black-tailed Godwits photographed in Renews today. I was expecting to hear a report of European Golden Plovers (almost annual in Newfoundland) any day now, but was shocked when I opened my email this evening and saw photos of TWO breeding plumaged BLACK-TAILED GODWITS from Renews today (found and photographed by Tony Dunne). This species occurs in Newfoundland every few years, but considering there are two (just the second record of multiple birds) combined with the persistent easterly winds of the past few days … well my excitement level is spiraling! There are likely more birds out there – and more to come since the winds are forecast not only to continue but to improve over the next 72 hours!! Plenty of European rarities have been recorded here in late April, including Common Redshank, Eurasian Oystercatcher, Garganey and Redwing … and plenty more could be on the menu based on species that are migrating to Iceland right now. We haven’t seen a real “fallout” of European birds since a similar system in late April 1995 brought dozens of European Golden Plover, five Pink-footed Geese, and four Common Redshanks (North America’s first record, with the only subsequent record occurring here four years later). Numerous Northern Wheatear and as many as three “Eurasian” Whimbrel were also recorded during that time. What was missed?!?! Could we be in for another fallout?!?! 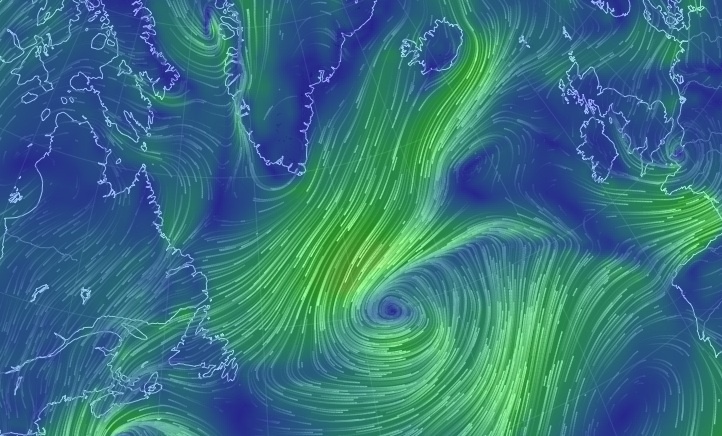 This map shows the winds as they currently are (Friday evening, April 25) … looking awesome!! 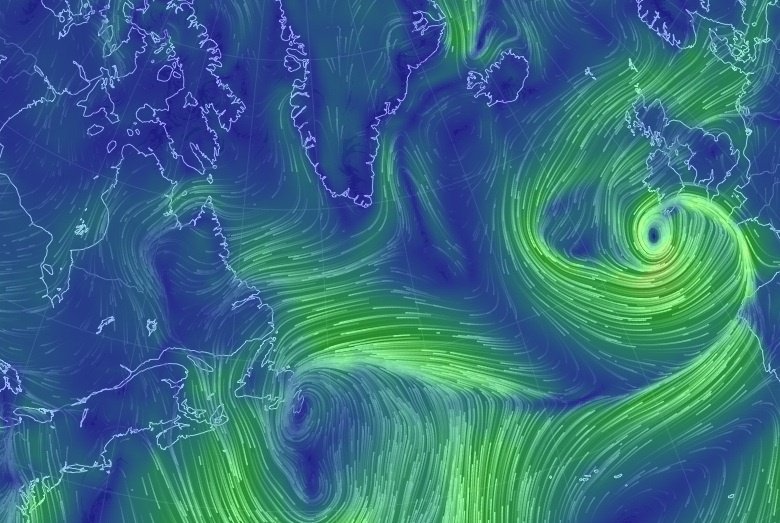 Another map showing the winds forecast for Sunday afternoon — things only get better!! 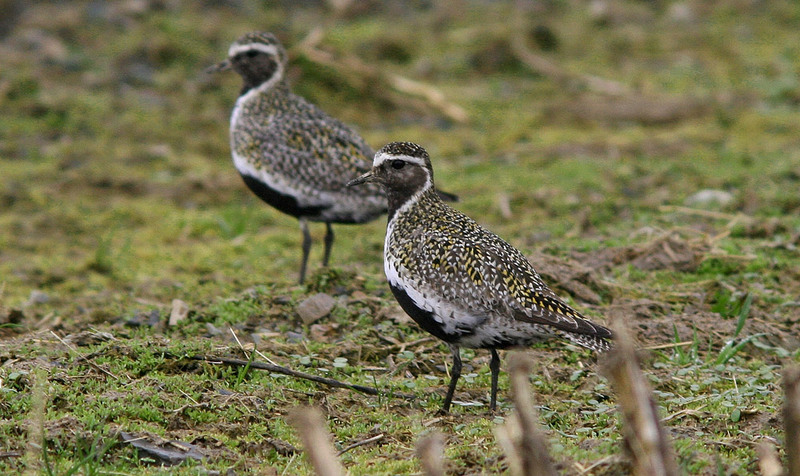 The potential arrival of European Golden Plovers are a much anticipated thing for Newfoundland birders, who keep an eye on the trans-Atlantic weather and and scour fields and barrens along the northeast coast. 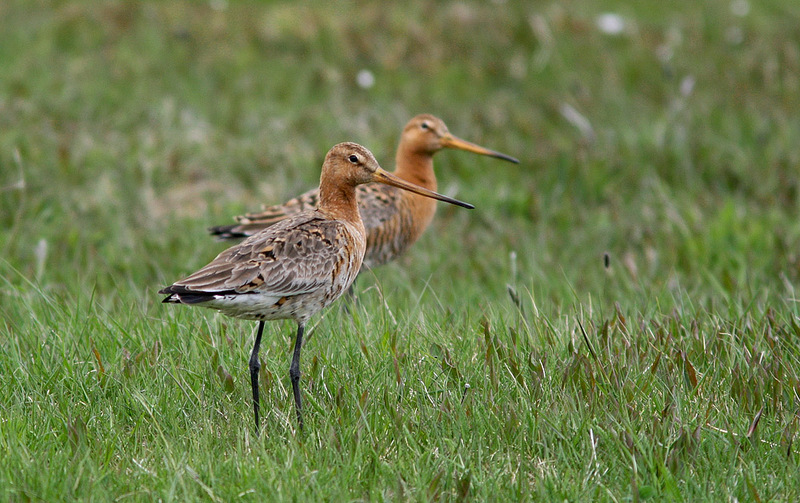 These two Black-tailed Godwits, which showed up on the Bonavista peninsula in May 2011, mark the only other record of multiple birds in Newfoundland. 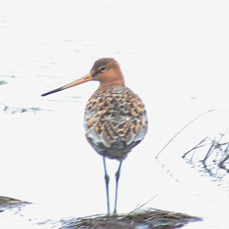 This entry was posted in Uncategorized and tagged Black-tailed Godwit, European vagrants, Newfoundland, rare bird. Bookmark the permalink.